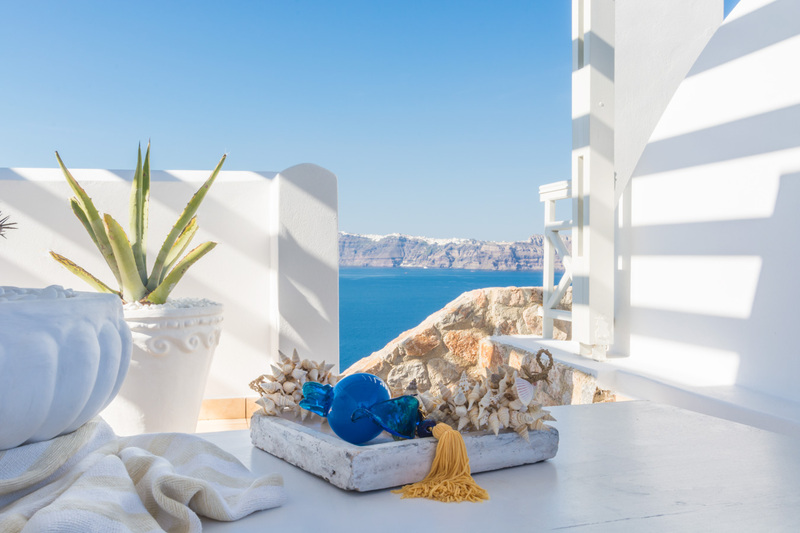 At Akrotiri in a beautiful spot with amazing views of the volcano and the caldera of is situated the beautiful 5 bedroom villa , Mikaela Residence. 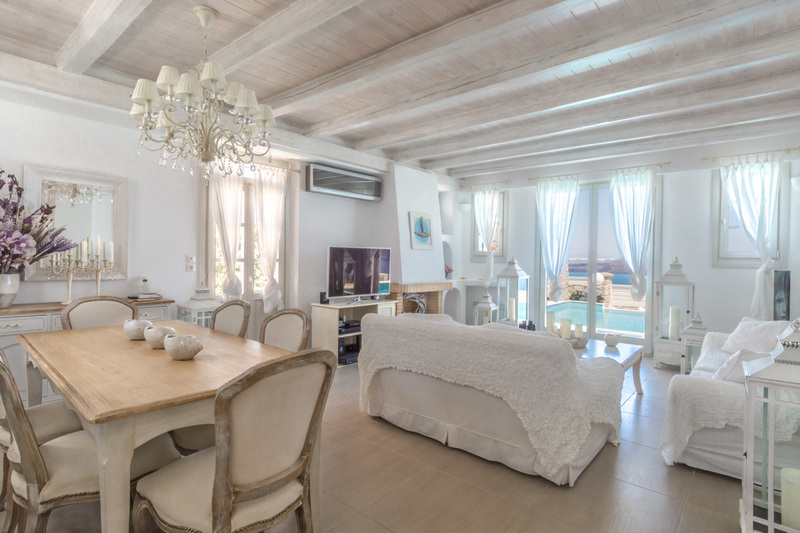 In the Villa one may find a swimming pool with view to the caldera, a stones decorated BBQ area, whilst the living rooms and most bedrooms have large high definition satellite TVs for the residents' entertainment. The guests are given Fast Wireless Internet service among with a laptop in case they need one. The fully equipped kitchen of villa Mikaela is carefully maintained providing all cooking needs a family may need. 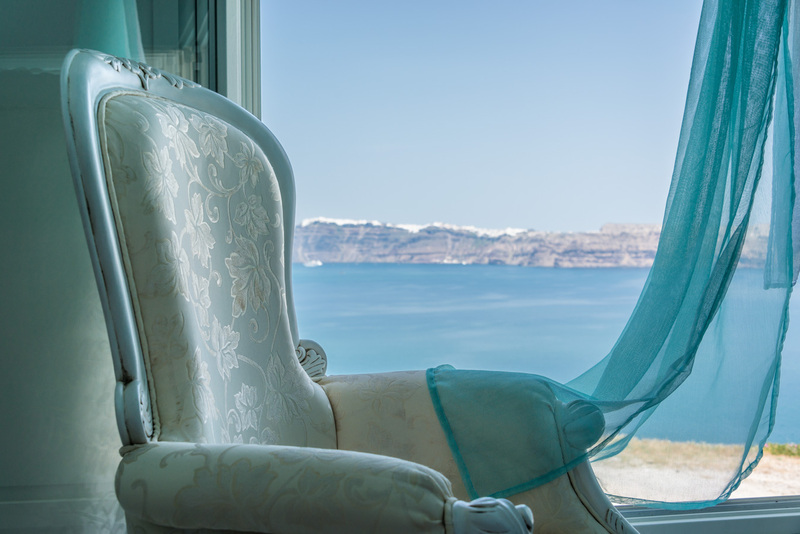 All the areas of the house are carefully decorated with special care, keeping the traditional Santorini style. Colorful paintings decorate the walls of the villa while colorful bathrooms give a pleasant look to the house. 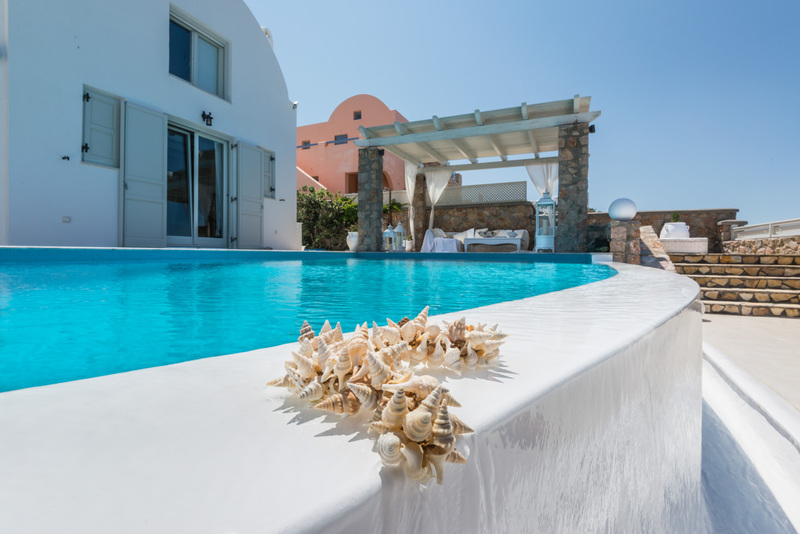 Santorini Villa Mikaela is located in the top rated no1 island destination of the "travel + leisure" magazine, Santorini - Greece. 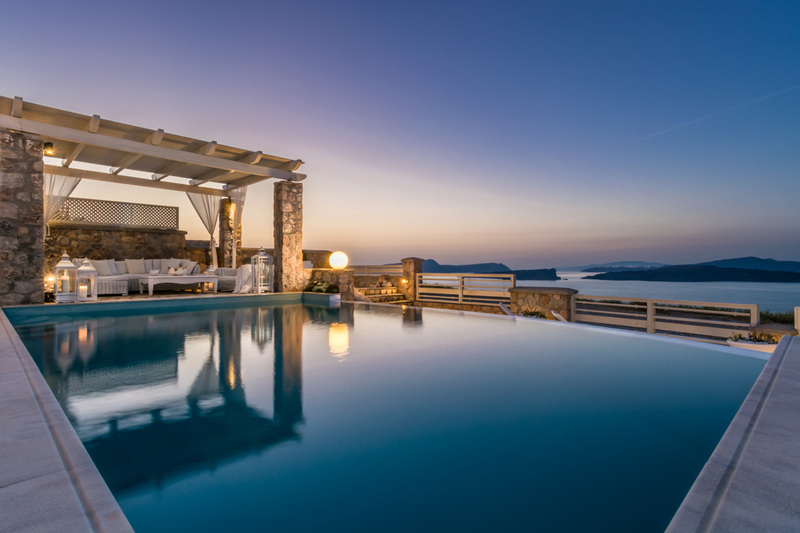 It is carefully built on the cliff of the beautiful village of Akrotiri overlooking the spectacular view of the caldera. 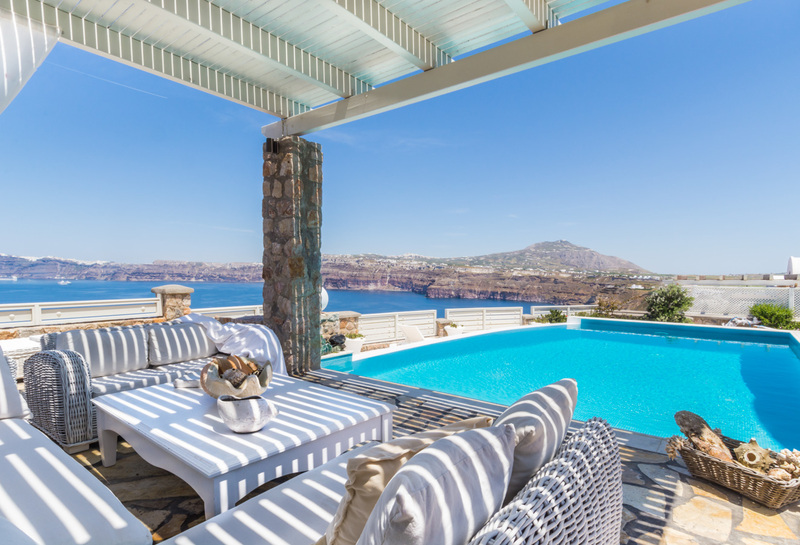 From the villa the guests may admire the beauty of the architectural houses built on the caldera cliffs of Fira, Firostefani, Imerovigli and Oia while laying in the private swimming pool of the house. In Akrotiri is one of the most important archaeological sites since the Minoan/Cretan Period where the volcano erupted and volcanic material covered the entire city. The volcano then created the caldera in Santorini which is the biggest living caldera in the world.